The color of the shell hardware is matched to the Matte Black shell the enhance the cutting-edge, contemporary look of this snare. -Carbon Steel snare wires. With Professional touring, teaching, and building experience in all facets of the percussion world. Alesis has made it easy to create and load your own samples for the SamplePad Pro. The Alesis SampleConverter Utility can make sure your samples are formatted correctly for your product to use with ease! 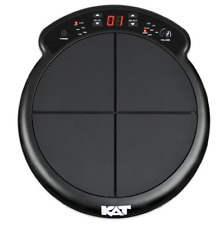 It enables you to drum without a physical drum kit, by making air-drumming gestures. The software is available via download on the Aerodrums site. Silent to others when used with headphones. High sound quality (uses over a gigabyte of high quality drum samples). The undertones are warm, rich, dark with an edge of dragon’s breath. Each one is a unique, complex voice that will excite your imagination. • Small bell. • Light weight, super thin. • Responds to the the softest touch. With the AQ2 Series drums you can sound like the pros. All maple shells and our new SmartMount facilitate this. German engineering inside. With Professional touring, teaching, and building experience in all facets of the percussion world. Dream Cymbals BCRRI22 Bliss Series Crash/Ride 18" Cymbal. They are exceptionally resilient and slightly soft on the stick. There is just a hint of raw ocean or chili pepper in the tone. The Dream Bliss 22" Crash Ride is a great all around cymbal for your Jazz gigs. With SamplePad Pro, there’s no limit to your sonic creativity. It features 8 fully responsive and velocity sensitive pads with blue LED illumination. There are hundreds of professionally recorded in-demand sounds onboard, and a SD card slot for loading and storing your own custom sounds. The Alesis SamplePad 4 is a compact but powerful multi-percussion pad that lets you add custom sounds to your drum setup. Alesis SamplePad 4. 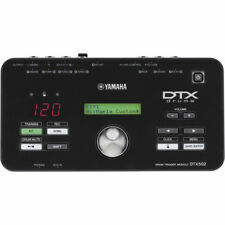 You can load up to 2 samples per 1 pad or trigger input, and each pad can be set to 6 Modes. The undertones are warm, rich, dark with an edge of dragon’s breath. Each one is a unique, complex voice that will excite your imagination. Helpful Links. The Roland SPD::ONE PERCUSSION is a new type of digital percussion pad, one that allows any musician to add authentic percussion sounds to their performances. It contains 22 realistic percussion sounds, including snares, hi-hats, cymbals, shakers, tambourines, and more, and you can even import your own original audio data into one of the 12 internal sound banks. Their silky surface distinguishes the cymbals visually. The aluminum Pure Bells stand out due to their distinct character and concept. Stands, Stools & Pedals. Practice Drum Kits. This 14 x 8" Supralite Steel Snare from Ludwig incorporates a mirror-polished, 1.5mm steel shell for bright, cutting attack and fat mid-range overtone. Mirror-polished, 1.5mm steel shell. full factory warranty. Zildjian authorized dealer zildjian 2 year factory warranty is included. Each of the 3 available sizes provides its own distinct voice. As with everything in life, we also have limits, here are a few. Due to "DNA" and other things;. Looking to break into the world of acoustic triggering without breaking the bank?. The ddrum triggers are a great place to start. They are the very best triggers on the market! Ddrum Triggers Together with ddrum sound modules, cross talk and double triggering are totally eliminated. 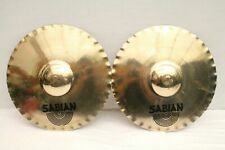 Up for sale we have this lot of 2 sabian cymbals in new shape, never been used. Have a great shine to them. Fancy Jewelry & Loan. 10075203 rs jl. Light and loose, incorporate these into your setup to achieve a distortion boost in your crash. As with everything in life, we also have limits, here are a few. Used Gear is sold as is. Pictures are for reference only. The Tama S.L.P. G-Maple Snare is at the nexus of the snare drum universe. Hearty brass tube lugs will ensure a long lifespan for your tension rods, as well as your tune. And finally, the Starclassic Hi- Carbon Steel Snappy snares will emphasize needed punch and attack, as needed. This explosive set from the Zildjian Sound Lab features our amped-up B12 alloy, which provides a balanced frequency response and is available in a wide selection of models. Each set is engineered with cutting-edge modern cymbal making techniques, and can be played across many musical genres. SABIAN XSR 16" FAST CRASH Cymbal. Used Gear is sold as is. As with everything in life, we also have limits, here are a few. Due to "DNA" and other things;. This Snare is finished in Kona Mappa Burl and Black Nickel hardware. Kona Mappa Burl Finish. 11mm, 12-ply maple shell and 1-ply mappa burl outer ensures durability and great tone. Shell Material: Maple, Mappa Burl. Now available in two new sizes: a 20” Ride and a 10” Splash. In addition to the new sizes, the 18” Crash Ride and 16” Crash are also available as singles. All singles seamlessly integrate into an existing L80 cymbal set and can be used as stackers or even HiHat components to create new and cool effects. Known for their versatility, these bright cymbals range from paper thin and delicate to extra heavy and cutting. Stronger high-end than Thin Crash. Acoustic Drum Kits. Electronic Drum Kits. Drum Accessories. The beautiful Mappa Burl outer ply and black nickel hardware gives it an impressive and attractive look. -6"x14" 11mm, 12ply Maple shell 1 outer ply Mappa Burl. -Super Sensitive Hi-Carbon snare wires. 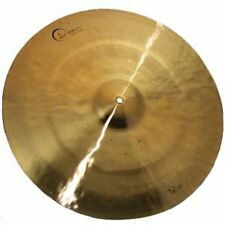 New ListingDream ENERGY 19 " Crash Cymbal 2,004 grams (ECR19) IN STOCK - Free Shipping! Every Dream Cymbal & Gong is an artisan hand-crafted, B20 Bronze. wash and a dark decay. ENERGY 19" Crash. NEW from an Authorized Dream Dealer in Original Factory Sleeve. Dream 2-Year Warranty Applies. New - not in original box or bag. · Bell: small, articulate, clear. Dream Bliss. Bliss Series General Specifications · Very responsive, Explosive Crash. NEW from an Authorized DREAM Dealer in. Dream 2-Year Warranty Applies. · Bow: low gentle bridge. New ListingDream Bliss 20" Crash-Ride 1,868 grams (BCRRI20) IN STOCK! FREE SHIPPING! · Bell: small, articulate, clear. complex decay. · Explosive Crash with a m edium pitch and sustain, with a dark, trashy. Bliss 20" Crash-Ride. Bliss Series Specifications NEW, never played, from Authorized Dream Dealer in Original Factory Sleeve. GENRE: Drumset: Country, Drumset: Fusion, Drumset: Hip Hop, Drumset: Jazz, Drumset: Latin, Drumset: Other, Drumset: Pop, Drumset: R&B, Drumset: Rock, Drumset: World. Natural, bright, not too high, not too low.